The value of a textbook depends on two things: if it currently being used as course material by college professors (is it in high demand?) and the subject matter of the book (how complex is the subject matter? Does it involve lots of research?). These two factors are the most important, so let's dive into them below. Textbooks pertaining to science such as biology, chemistry, physics, and anatomy are going to fetch the highest price because lots of research and time goes into producing a book on these topics. Different professors typically write parts of the books over months and years as they do research and grow the knowledge base around these subjects. Those people have to get paid, and that always factors into the initial value of the book. So when it depreciates, it is still at a higher price point that some new books that pertain to less complex subject matter. It goes without saying that if a book is out of date and not being used, no one is going to pay much or anything for it. It is common practice to bump the version of a book and then force students to buy all new copies, which makes the writers of the textbooks more money. Usually only a few things are different - a chapter might be in a different order or some pictures might be on a different area of the page. But sometimes new research comes, human knowledge grows, and new versions of textbooks are completely justified - but this happens less often. 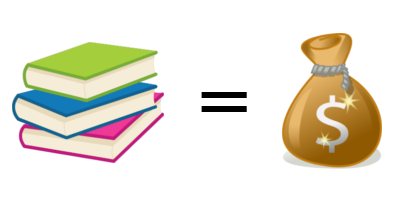 Another factor that can play into the expected value of used textbooks is the time of year you are planning to sell them. During times of high demand, like right before a college semester starts, prices are going to be much higher because demand is high.